The 26th Field Regiment RCA / XII Manitoba Dragoons Museum is located in the Brandon Armoury at 116 Victoria Avenue, Brandon, Manitoba. The armoury was built in 1907 and has housed the Royal North West Mounted Police, the Royal Canadian Mounted Police, the 99th Manitoba Rangers, the XII Manitoba Dragoons, and the 26th Field Artillery Regiment. The first floor of the building now houses a military history museum, archives and library that have been open to the public since 1979. 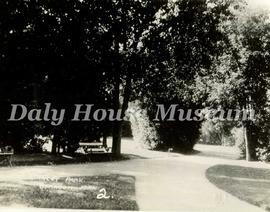 The collection was donated to the Daly House Museum by the 26th Field Artillery Regiment Museum in 1990. The material originally came from the estate of L. Col. G.D. Crawford of Brandon, Manitoba. 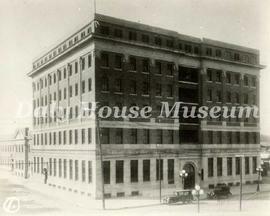 The collection contains photographs of buildings, streets and parks in the City of Brandon. Included are images of the Prince Edward Hotel, Hotel Cecil, Brandon College, Brandon Collegiate, Central Fire Station, Normal School, court house, Stanley Park, and the Provincial Exhibition Park entrance. Also included are photographs of Rosser Avenue and 10th Street in Brandon and the Leitch farm near Alexander, Manitoba. Other objects donated with this collection are housed separately at the Daly House Museum.